Do You Know How Bridges Are Painted? 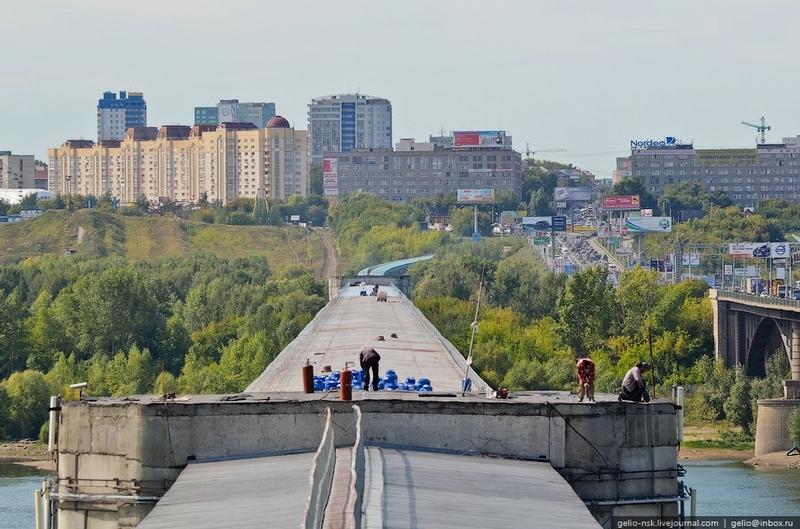 This bridge in Novosibirsk across the Ob river joins two subway stations. Today we’ll see the process of its repairing. 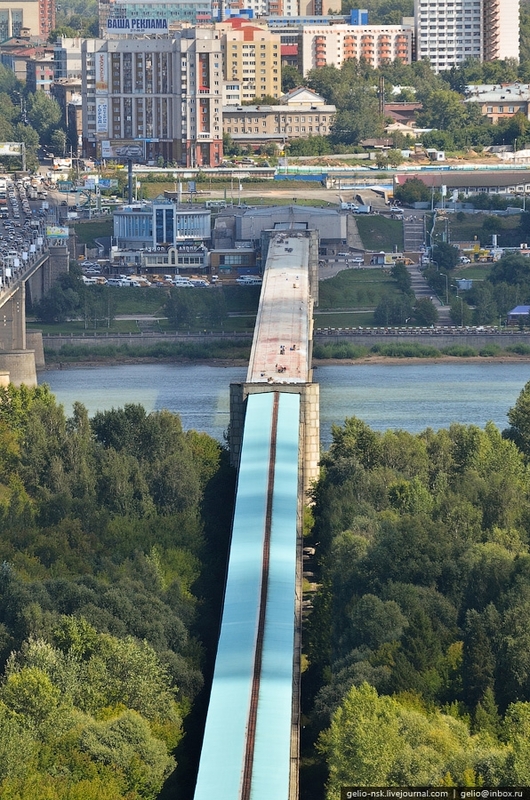 Total length of the bridge is 2 145 km. 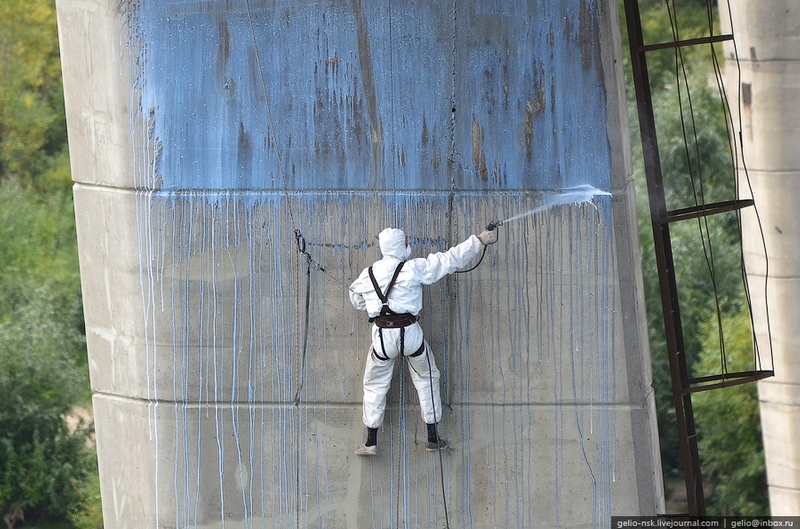 It was put into operation in 1986 and had to be coated with paint every 7 years to prevent corrosion. 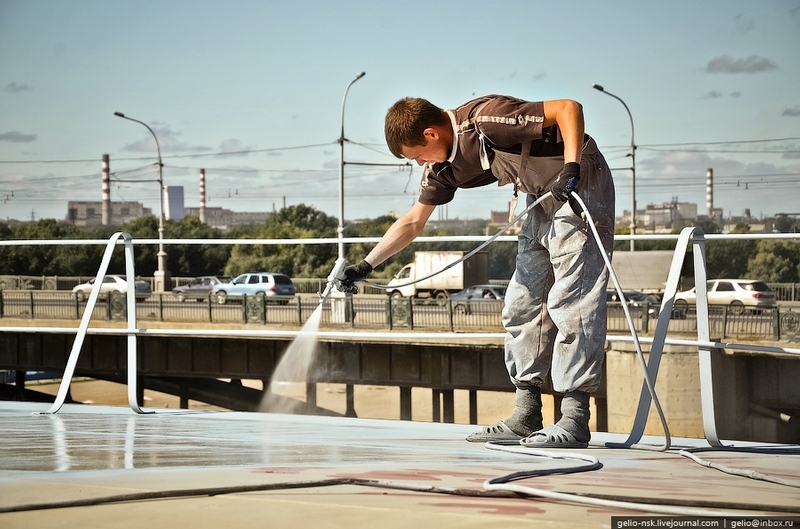 The third complete painting procedure began on August 3, 2011. Before that the bridge was painted in 1992 and 1999. First of all, it was necessary to remove old paint and apply primer. 40 people participated in the process, 4 of them represented technical inspection. 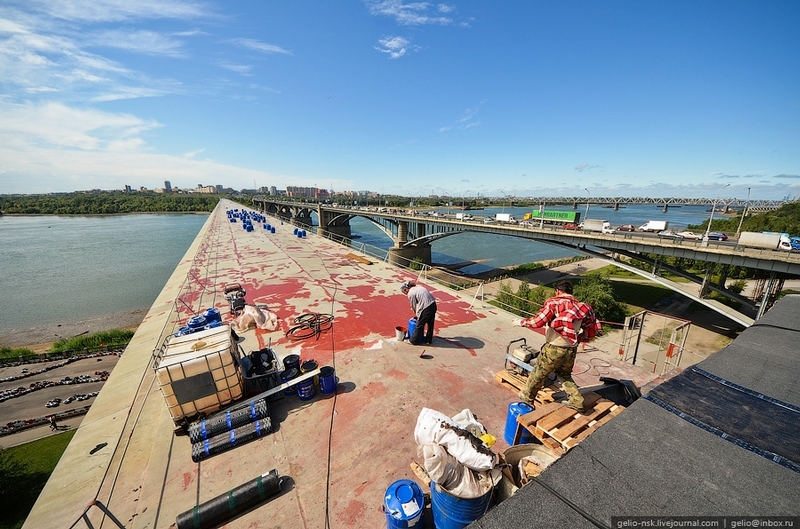 18 tones of paint were taken up to the bridge with the help of an autocrane. They use special project paint of light-gray color. 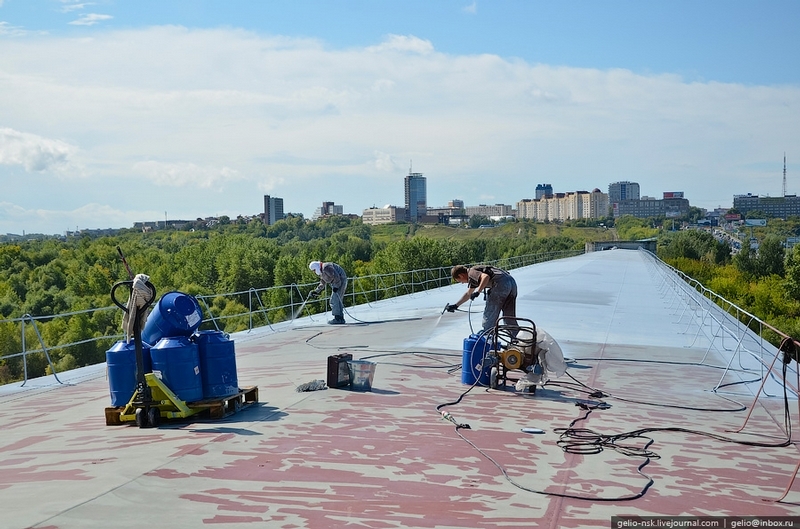 It is used to cover railway wagons, bridges and other metal constructions exploited in the atmospheric conditions of different climatic regions. 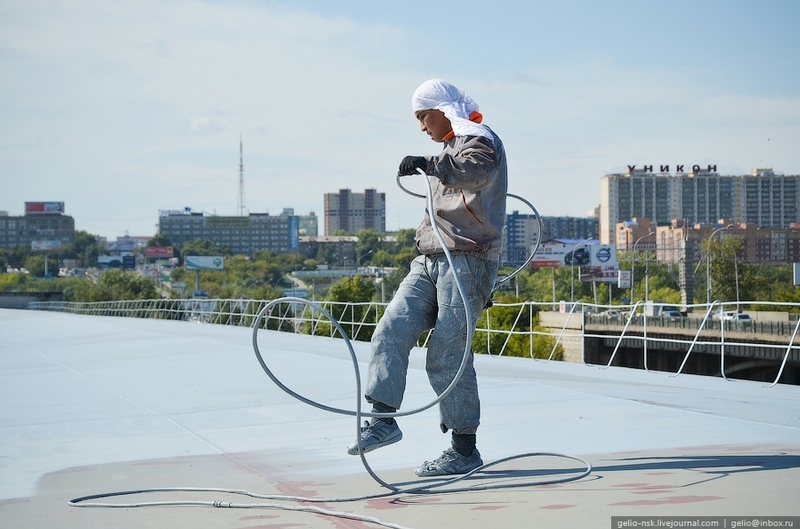 he paint can resist temperatures ranging from -50C to +60C. These guys should all be wearing respirators and goggles. Also, Why is the subway bridge enclosed? Adds to the cost of construction. 1. 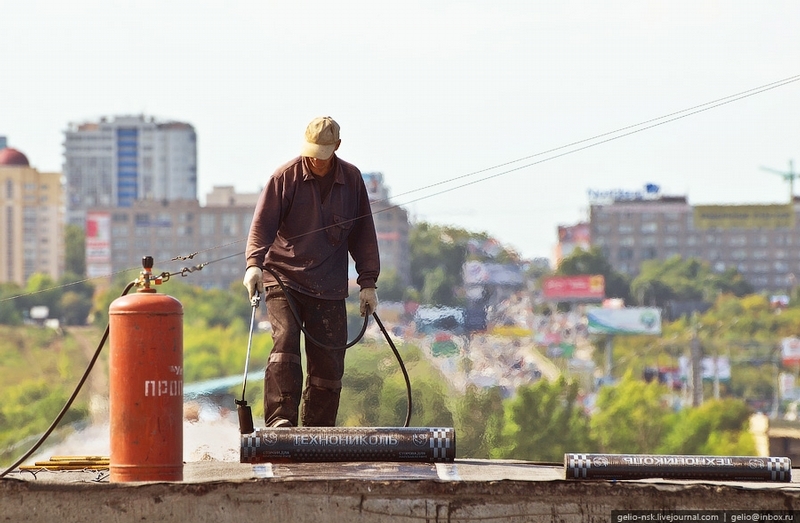 Working outside doesn’t require respirators but eye protection is a must! 2. Russian weather demands an enclosed bridge! No PPE!!! 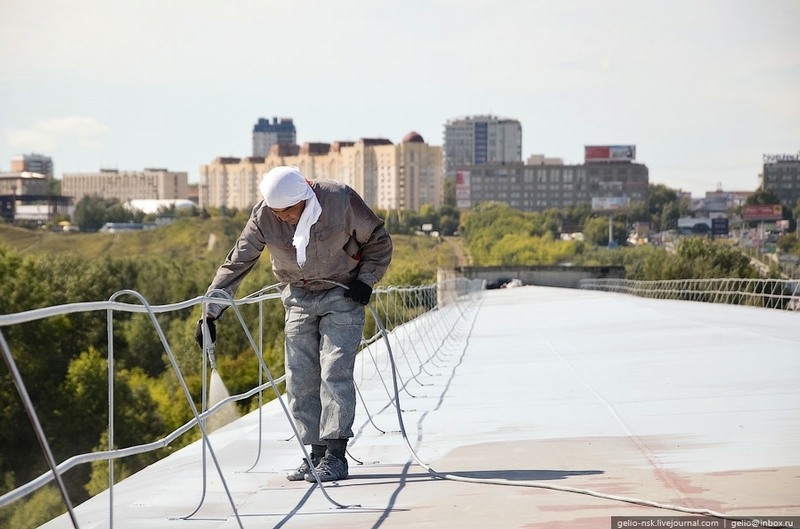 Poor guys…And also flip flops on construction site???!!!Unbelivable! Why are the bridge trusses out of plumb? 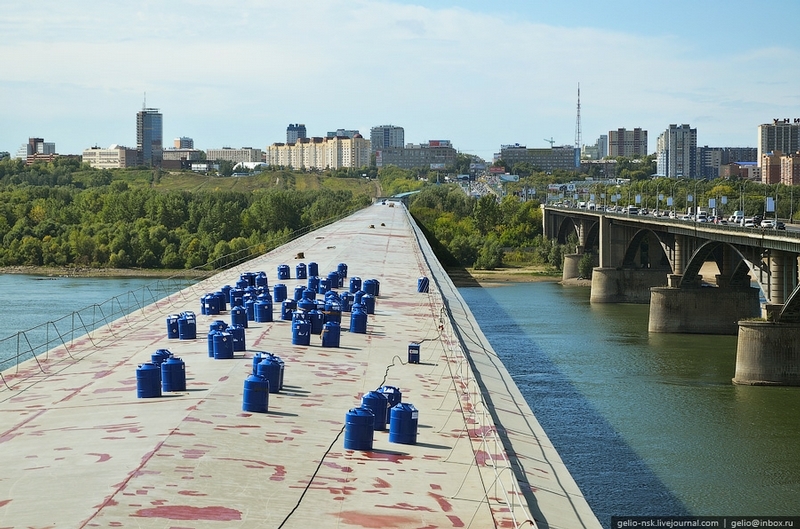 Was the bridge designed this way, or is it simply a matter of sub-par Soviet era construction?